How are you? you ask. I don't know. I only know how someone else is feeling... 99% of the time I cannot feel myself. And 99% of the time I don't know whose feelings I am feeling either. I am an empath, and a clearsentient 1 I had a boy friend who labeled me clairsensar when I could tell the chiropractor what to do to people who needed help but it wasn't obvious what to move... I felt it. Clairsensar is not a word, but there is such a word as clairsensing... go figure. I always despised people who claimed they had psychic abilities... because most people who claim they have them... eh... I don't know. Like every other person, I wanted certainty, I wanted knowing without having to do any work, I wanted to know for sure. This is so innate in humans, that I could not escape it. It is on the same level of need as the need to belong. This is what gives power to gypsies who claim to be psychics, and other gypsy-like people who have jumped on the bandwagon. One of the significance of the vibrational reading, the number, is that it shows on what level one is with regards to being ethical and moral. One of the things an empath, even an untrained empath can feel is that gap. I could call it inauthenticity. Because authenticity means: nothing hidden. Nothing in the unsaid. And when I say "hidden", I mean intentionally hiding... with the intention to defraud, gain unearned benefits, lie, dupe, the ugly stuff you are so afraid of. I have a bunch of stuff, at the end of this article on psychics, and empaths... what I have not seen is the stuff I do. 1. I don't do it... I am a victim of it... I feel what you feel, emotions, and often physical sensations. Not fun. 2. I can intentionally connect to you, and do work on your body, physical, energetic, as if it were mine. I can do it when we are in communication, or from a picture I can look at. 4. I can do work on that next person or that connected thing... for example I can charge (energize) a glass or bottle of water I have a picture of, or that you are holding. How? Beats me... I don't know, I just do it. This is what I call True Empath... but you know, the name is b.s. You feel what you feel. It is either accurate or it isn't. You can see that there is an awful lot of stuff I can do. According to Source, I have mastered 70% of the abilities I am cursed with. The remaining 30% is obviously part of the "I don't know that I don't know". I can ask questions, to penetrate the DKDK (don't know that I don't know), but all questions come from what I know... so it is seductive but futile. The idea will come from off-mind... from questions I don't yet know to ask. Like the insight I just got that the vibration number can indicate inauthenticity... the gap between appearances and the truth, morally, ethically, and it can and should be measured. This is how I penetrate All-Knowledge, and this is how my truth value gets higher and higher. I write, I experiment, I allow myself to be challenged. OK, the rest of this article is directly from google. What are the different types of clairvoyance? If it's easy to figure out other people's emotions but you largely ignore your own feelings, this is another sign of an Empath. Empaths are naturally sensitive emotionally. They take on the emotions of people around them. Empaths also have difficulty expressing their emotions to other people. Can you feel someone else's emotions? Clairsentience can present problems to the person who is experiencing it. It's great to be able to understand other people. But if you are an empath, you may find yourself feeling emotions that belong to someone else. You are a channel or a sponge that can absorb both negative and positive feelings and emotions. Clairempathy (clear emotion) – An Empath is a person who can psychically tune in to the emotional experience of a person, place or animal. Clairempathy is a type of telepathy to sense or feel within one's self, the attitude, emotion or ailment of another person or entity. Psychometry, or clairtangency (clear touching), is the ability to sense information by touch. Usually, this is applied to an inanimate object, such as a piece of jewelry, clothing or even a motor vehicle. The word 'psychometry' literally means 'measuring the soul', and was coined by Joseph Rodes Buchanan in 1842. Clairsentience (clear feeling) Quite possibly the most under-estimated psychic gift, is the ability to feel strongly and sense the emotions and feelings of people, animals, spirits, and places around them. You can feel emotions of others both in your heart and in your body; you can likely feel spirits around you. Intuitive empath is a person who has an unusual capacity for sensing and understanding the feelings of others. ... Intuitive empaths know what others feel without needing to be told, and they have an unusually sharp sense for whether someone is being truthful or lying. empath (plural empaths) One who has the ability to sense emotions; someone who is empathic or practises empathy. (science fiction, parapsychology) A person with extra-sensory empathic ability, capable of sensing the emotions of others around them in a way unexplained by conventional science and psychology. Clairalience (Clair meaning "Clear" and "Alience" meaning scent) is the Psychic ability to be able to obtain. specific Psychic information based on your use of the scent of smell. Claircognizance is the intuitive ability of clear knowing. ... 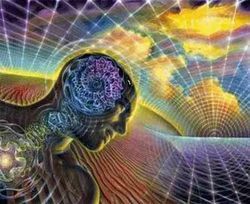 It is one of the most doubted abilities by those who hold this intuitive gift, because it is often hard to discern between what is a claircognizant thought delivered from Spirit and what is a just a self thought. Clairaudience is the ability to clearly hear those in Spirit, speaking to you externally or internally, meaning, you can hear Spirit speak to you in your environment or within your own mind. Many clairaudients are already using their abilities without even knowing it. How do you feel someone's energy? Take a few deep breaths, relax and clear your mind, and try to sense the energies around you. You may feel a cold, hot or tingly sensation around your body, especially around your palms and fingertips. Move both of your hands in front of your chest with palms facing each other. What is an emotional empath? There is a good chance you're an emotional empath. Empaths are highly sensitive, finely tuned instruments when it comes to emotions. They feel everything, sometimes to an extreme, and are less apt to intellectualize feelings. Their sensitivity is the filter through which they experience life. What is an intuitive psychic? Intuitive psychics, also known as empaths or psychic intuitives, have gifts that are unique and can help people in numerous ways. Individuals gifted with these abilities often report being able to capture the sentiments of those within their general vicinity. What does it mean to be an empathetic person? 2. Empaths absorb other people's emotions. Empaths are highly attuned to other people's moods, good and bad. They feel everything, sometimes to an extreme. They take on negativity such as anger or anxiety, which can be exhausting for them. Being Hyper- Empathic. An Empath is a person that is extremely sensitive to the emotions and energy of other people, animals and places. They have the ability to physically feel the energy field of others and their surrounding. ... People with high empathy are better at recognising emotions in others. What is a Claircognizant empath? Claircognizant Empath. This is usually defined by the ability to simply know something needs to be done, or is true or misleading, without having any basis in logic or reason. Often this type of Empath will just “know” when something is right to do, or not, or when someone is lying or hiding something. Clairvoyance (/kl??'v?? ?ns/ or /kl??'v?? ?ns/) (from French clair meaning "clear" and voyance meaning "vision") is the alleged ability to gain information about an object, person, location or physical event through extrasensory perception. What is an empathy disorder? A study of high-functioning adults with autism spectrum disorders found an increased prevalence of alexithymia, a personality construct characterized by the inability to recognize and articulate emotional arousal in oneself or others. Based on fMRI studies, alexithymia is responsible for a lack of empathy. An Empath is someone with the strong ability to feel the thoughts, emotions and energy of others. It's the ability to sense, connect and understand on a soulful level with the Spirit of another individual on Earth. Being an empath is when you are affected by other people's energies, and have an innate ability to intuitively feel and perceive others. Your life is unconsciously influenced by others' desires, wishes, thoughts, and moods. Being an empath is much more than being highly sensitive and it's not just limited to emotions. Can you be compassionate without being empathetic? To sum up the differences between the most commonly used meanings of these two terms: sympathy is feeling compassion, sorrow, or pity for the hardships that another person encounters, while empathy is putting yourself in the shoes of another. compassion. If someone shows kindness, caring, and a willingness to help others, they're showing compassion. This is a word for a very positive emotion that has to do with being thoughtful and decent. Giving to a charity takes compassion. Volunteering to work with sick people or animals takes compassion. Emotional empathy, also called affective empathy or primitive empathy, is the subjective state resulting from emotional contagion. It is our automatic drive to respond appropriately to another's emotions. This kind of empathy happens automatically, and often unconsciously. Empathic concern refers to other-oriented emotions elicited by and congruent with the perceived welfare of someone in need. These other-oriented emotions include feelings of tenderness, sympathy, compassion, soft-heartedness, and the like. From Wikipedia, the free encyclopedia. Jump to: navigation, search. Empathy is a word that means that someone is able to share or understand the emotions and feelings of another person. Someone may need to have a certain amount of empathy before they are able to feel compassion. The term “empathy” is used to describe a wide range of experiences. Emotion researchers generally define empathy as the ability to sense other people's emotions, coupled with the ability to imagine what someone else might be thinking or feeling. In another article I am going to review some of these people... scary stuff. Clairsentience, which means clear sensing, is the ability to feel the present, past or future physical and emotional states of others, without the use of the normal five senses. Psychics who are clairsentient are able to retrieve information from houses, public buildings and outside areas. Previous Previous post: The invisible undercurrent that is running your life, unbeknown to you. Next Next post: You hope you have high vibration… but what if you don’t know what high vibration is? The invisible undercurrent that is running your life, unbeknown to you.